We’re thrilled to announce our reading, writing, and career development topics for this year’s Sirens Studio! Held on October 23-24, 2018 prior to the official start of the conference, the Studio offers small-group workshop intensives led by exceptional faculty in the morning; flexible time to read, write, or relax in the afternoon, and a film screening at night. New for 2018, participants will also be invited to a Studio attendees-only faculty reception. As part of our mission, we specifically craft Sirens to include and amplify the many brilliant voices of our attendees. Tomorrow, we’ll be kicking off our fundraising campaign to help make attendance possible for people of color, exemplary programming proposals, those with financial hardships, and new this year, librarians, educators, and publishing professionals. We’ll have more information about how you can support our scholarships on our blog tomorrow! Along with general registration for Sirens, tickets are available now for the Sirens Studio and the Sirens Supper. There are only 20 Studio and 11 Supper tickets remaining! The deadline for programming proposals is approaching in May, so in March, we’ll be launching our annual programming series with tips, tricks and everything you need to know to submit a successful programming proposal, along with free-for-the-taking topic ideas on our #SirensBrainstorm hashtag. We’re also revisiting each Sirens theme; you can find our posts on Reunion and Hauntings over on the blog now, with Revolutionaries, Lovers, and Women Who Work Magic coming soon! This month, Sirens co-founder Amy Tenbrink read and reviewed Lauren Groff’s The Monsters of Templeton in her book club: “Anyone from a small town will startle at Groff’s insightful depiction of both the unchanging sameness and the roiling, gossip-worthy drama.” Read her full review on the blog and on Goodreads. 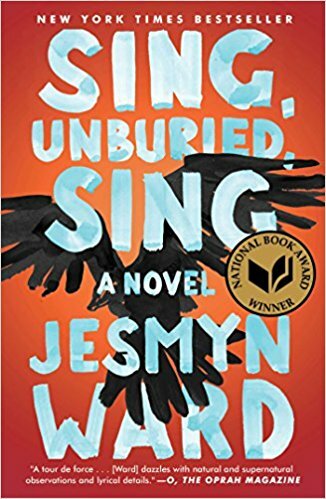 In February, Communications Director Faye Bi read Jesmyn Ward’s highly acclaimed Sing, Unburied, Sing for the Reading Challenge, which impressed with “its lyrical, economical prose, its somewhat archetypal but expertly drawn characters, and its deft handling of the many challenges plaguing black communities in the rural south.” Read her full review on the blog and on Goodreads. If you’d like to extend your Sirens experience, we hope you’ll join us for the Sirens Studio on October 23-24, 2018! Over two days prior to the official start of the conference, studio participants will attend their choice of workshop intensives, and new in 2018, a Studio attendees-only faculty reception. While Sirens is terrific, it can be hectic: so many people to see, conversations to have, and not nearly enough time to grab a seat by the fire and just read. Sirens Studio, however, gives you both what you love about Sirens and that down time that we all need: small-group workshop intensives led by exceptional faculty in the morning; flexible time to read, write, or relax in the afternoon; and a film screening at night. The 2018 Studio will feature eight intensives, all led by extraordinary faculty on topics related to reading, writing, and career development. For the full biographies and summaries, please click on any faculty member name or workshop title below. The topic of our second career development intensive will be available soon. Tickets are $100 for the full two days of the Studio and available to registered Sirens attendees. The Sirens Shuttle will be available on the evening of Monday, October 22, to facilitate Sirens Studio attendees’ transportation to the Park Hyatt in Beaver Creek. If you think you might like to join us, please purchase your ticket here! In order to keep the experience conversational and somewhat intimate, we are limiting the number of Sirens Studio tickets to 65. If you have any questions or concerns, please write to us at (help at sirensconference.org). Ghost stories are often pulp, supplying fun shivers late at night. Consider, as an easy example, their immense popularity in Victorian England: assisted by the rise of the periodical, not to mention creaking houses and gas-lamp hallucinations, the ghost story was so prevalent as to be traditional English Christmas Eve entertainment. The women of the time, in the wake of Mary Shelley and her classic tale of a man haunted by his own creation, turned out ghost story after ghost story for publication in literary magazines—magazines then read primarily by women. The Victorians are but one example. The ghost story appears again and again, in myriad cultures, in every region of the world, often handed down by women as oral history, myths and legends. Even in America, we have our own omnipresent, so-often-female ghostly tales: la llorona, the phantom hitchhiker, the dead prom queen. Time and time again, women have used the ghost story as allegory, as metaphor, and as cautionary tale. Ghost stories are so much more than pulp, and if you expand your query to all manner of shades, spirits, remembrances, and things that go bump in the night, you’ll see why Sirens chose hauntings—and what it means to be haunted—as its 2014 theme. It was perhaps one of our more surprising themes, but also, unexpectedly, one of our more literary themes. Not only have women authors such as Toni Morrison and Shirley Jackson written brilliantly and incisively of ghosts and women, earlier writers such as Daphne du Maurier and Edith Wharton wrote ghost stories, and just last year, Jesmyn Ward won the National Book Award for Sing, Unburied, Sing, a ghostly exploration of the ravages of slavery in a post-Katrina south. These explorations illustrate only the beginning of the depth and breadth of our conversations about hauntings in 2014. As we approach this year’s reunion, we hope that you’ll contemplate hauntings, as well as the other themes of our past four years, in your reading, your conversations, and your programming proposals. At Sirens, our reunion years are an opportunity to reexamine the themes of the previous four years, in this case: hauntings, rebels and revolutionaries, lovers, and women who work magic. Please look for more posts on these themes in the upcoming weeks—but please also know, as you begin to plan your programming proposals, that proposals need not focus entirely or even at all on theme topics. All proposals related to women in fantasy literature are welcome. Get inspired by our 2014 Hauntings book list, Suggested Reading. Thus begins The Monsters of Templeton. I read somewhere north of 150 books a year—and when you do that, you have the luxury of tackling books for any number of reasons. I don’t have to jealously guard 12 or even 50 available slots a year, cautiously filling them only with books that come highly recommended. I can read for any reason under the sun. For example, I’m notoriously a sucker for well-designed covers, sometimes for good and sometimes for spectacular ill. This might, however, be the first time that I chose a book because of its first line. But look at it. Just look at it. Even putting aside my preternatural love of monster narratives—which we absolutely should not because my love is legion and we’re going to discuss this monster in particular—that’s a magnificent first line. There’s a gravity to it, a weight, around not just a return to Templeton, but a return steeped (steeped!) in disgrace. But there’s an absurdity as well, as you read on to the dead monster surfacing on the lake. Oh, the questions! Who is the protagonist? Is Templeton formerly home? What is this disgrace? How bad was it? What is this monster? Do you have a lot of monsters in Lake Glimmerglass? Are there monsters everywhere? And that’s what hooks a reader, right? That need to know what happens next. 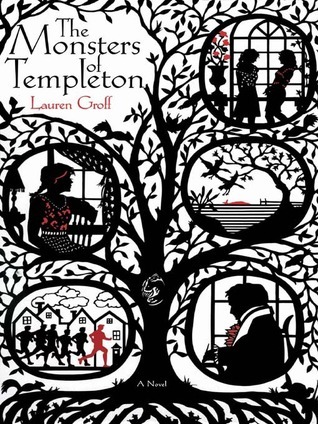 The Monsters of Templeton, by Lauren Groff (yes, that Lauren Groff), is one of my favorite fantasy literature subgenres: the sort of adult fiction that is so literary and so real that the marketing team can readily sideline the fantasy elements, making it all-too-easy for booksellers to shelve it with the general market fiction. (Annoying!) Think Jesmyn Ward or Carmen Maria Machado or Violet Kupersmith, all of whom write fantasy works, but none of whose works live in the fantasy section of your local Barnes and Noble. (Someday, I’ll write an essay that starts with those three and then happily proceeds to Erin Morgenstern, then Helen Oyeyemi, then Cassandra Khaw, at which point we are well and truly down my very favorite rabbit hole.) The Monsters of Templeton lives somewhere in this procession between Ward and Machado: a number of ghosts, some magical realism-style conflagrations, and the aforementioned monster—but we’re wholly and resolutely in a thinly-veiled Cooperstown. Willie Upton, an archeological doctoral candidate, magical only in the very slightest of ways, opens the book by returning to her hometown: Templeton, New York. The town is important, not only as a predicate for the plot that follows, but also as a foil for the larger, perhaps grander, sometimes more disappointing world outside. The book can suffocate: After Willie’s arrival, her story arc happens entirely in the town of her birth; only rarely does the outside world intrude (the occasional phone call, a single postcard, a number of scientists looking to examine the monstrous corpse). Those intrusions periodically remind Willie—and the reader—perhaps unwantedly, of Willie’s scholarship, her ambition, and her success navigating that outside world. Willie’s reason for returning home—and indeed, her return home itself—is fraught. She’s had a (perhaps) ill-advised affair with her married professor, found herself pregnant, and fled her summer work in Alaska to return to the bosom of not only her single mother, but the hometown she hasn’t seen in years. Willie’s flight from Templeton was, in her mind, a necessity; her homecoming, even more so. Never underestimate the emotional trauma of returning to not only your family, but your tiny hometown, “steeped in disgrace.” You can never go home again, I suppose, until you think you have nowhere else to go. Vi, Willie’s mother, is drawn unsympathetically in Willie’s first-person narrative: a hippie-turned-Baptist, a professional caregiver, a descendant of town founder Malcolm Templeton, a woman who (smugly) knows her daughter better than Willie knows herself. Upon Willie’s arrival home, Vi (cleverly) gives her academic daughter a research task: Discover who her long-secret father is. Vi tells her only that he’s a resident of Templeton—and also a descendent of the revered Malcolm Templeton. Willie the archeologist gets to work and uncovering her father’s identity becomes both mysterious plot arc and book structure: sections alternate between historical depictions of Willie’s ancestors and her modern-day discoveries of links between those same ancestors. It’s a clever conceit, but one that causes the book to lose steam about two-thirds of the way through; at that point, the reader yearns for a hastened pace, but the book stoically maintains its structure. Willie, Vi and the rest of Templeton are written with a lot of sensitivity. Anyone from a small town will startle at Groff’s insightful depiction of both the unchanging sameness and the roiling, gossip-worthy drama. That same group of middle-aged guys runs around Templeton every morning, but the more Willie uncovers in her quest for her father’s identity, the more the reader learns about the scandals of the town’s past. That sameness and that long-buried gossip birth both security and contempt in Willie, but also provide an unexpected accelerant for a story of monsters premised on, of all things, familiarity. Harken back to that first sentence: Willie has gone home, but equally important, a monster has died. For those of you looking for a “here be monsters” adventure, this is not your book. Instead, that dead monster is a ready metaphor for every small town and for Willie’s story in particular: those churning scandals—an affair, a death, a fire—made manifest and, not coincidentally, surfacing at last. Not an inapt parallel, once you stop to consider, and one that Groff mines to raw, honest effect. You can go home again, in the end, but heaven knows what you’ll find. We’re excited to bring you a roundup of February 2018 book releases of fantasy by and about women. Let us know what you’re looking forward to in the comments. As always, we’d love to hear from you. If you’ve sold a fantasy work, read a great recently-released story, discovered a fantastic link that we missed, or if you’ve got a book or story review to share, please get in touch and leave a comment below!